Lawyer and educator Anton Burkov helps defend ordinary citizens and activists whose rights have been violated by the Russian government. His clients include the parents of a fatally injured young woman whose organs were harvested without their consent; wives of prisoners serving life sentences who are denied the right to conjugal visits and artificial insemination to conceive children; and activists denied their rights to freedom of peaceful assembly and access to a fair trial. Anton is the legal director of Sutyajnik, a non-governmental organization (NGO) based in his native Ekaterinburg in central Russia. Sutyajnik helps citizens and organizations realize rights guaranteed in the Russian Constitution and international treaties by litigating public interest cases, educating in human rights, and informing the public about the mechanisms for human rights protection.In addition to his work with Sutyajnik, Anton is a lecturer and chair of the European and Comparative Law Department at the University of Humanities in Ekaterinburg. In that position, he teaches the implementation of the European Convention for the Protection of Human Rights and Fundamental Freedoms in Russian courts and the European Court of Human Rights. He also teaches at numerous seminars and other training opportunities for lawyers, law educators, law students, and NGO representatives. An alumnus of Equitas’ International Human Rights Training Program (IHRTP) in 2005, Anton credits that experience with giving him a methodology for teaching law and structuring seminars. “It was very important, very groundbreaking for my understanding of how you can teach and create educational programs,” Anton said. He also appreciated the camaraderie that emerged in his small group of about 16 participants, and the supportive learning environment in which they could open up and try new things without feeling self-conscious. After completing the program, he would frequently email the group’s facilitator, Sarah Chandler, to ask her advice as he went back to teaching. They still remain in touch via Facebook. 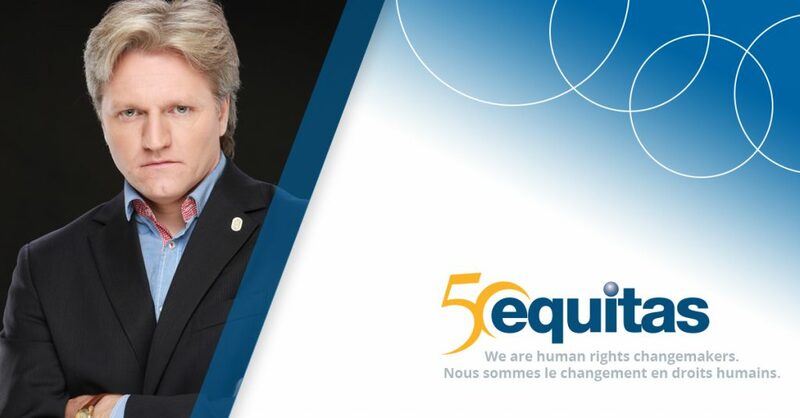 Anton’s Equitas experience also inspired his founding in 2011 of an initiative called the Urals International Human Rights Program, which holds weeklong intensive, interactive sessions twice a year for human rights lawyers and activists. Holding its eighth session in September 2016, the school is run in co-operation with up to 10 national and international NGOs. Now a world renowned human rights champion, Anton’s entrance into human rights work came about by accident. While still in law school, he wanted to gain experience practicing law but was having no luck finding a job. Then he heard of a company that was hiring and went for an interview, not knowing it was an NGO. Anton had heard negative stories about NGOs in the Russian media. “It turned out those stories were not true,” he said. The NGO he interviewed with was Sutyajnik, where he has worked since 1998. After finishing law school, Anton also pursued postgraduate work in Russia. He then studied in England, earning an LLM (Master of Laws) degree in International Human Rights Law at the University of Essex, and a Ph.D. in law at the University of Cambridge. The current political climate in Russia makes it difficult for some NGOs to operate, Anton said. Russian legislation now requires all NGOs that receive foreign funding to register as “foreign agents”, and levies heavy fines against them. The financial burden drives many into bankruptcy. “A number of court cases are challenging this system of persecution,” he said. In 2015, The Russian Ministry of Justice declared Sutyajnik a “foreign agent” because, among other things, Anton spoke at events at two American universities the previous year. The NGO was fined the equivalent of $11,000, which it had to crowdfund to pay. What Anton continues to find gratifying about human rights work in Russia is the opportunity to reform law and change legal practice.